PETER SPARLING | E.U.A. / U.S.A.
8 DEZ / DEC | QUARTA / WEDNESDAY | 10h00 às 17h30 / 10 a.m. – 5.30 p.m.
Workshop de um dia sobre a temática do Vídeo-dança eminentemente prático, que condensa muito do que Peter Sparling ensina nas primeiras sessões do seu curso de Screendance na Universidade de Michigan. “Hands-on” one day workshop on Video-dance that compresses on one day much of what Peter Sparling teaches during the first few sessions of his Screendance course at University of Michigan. Bailarinos profissionais e não bailarinos, todos aqueles que estejam motivados para se mover e expressar (dançar no seu sentido mais lato), bem como trabalhar a relação da dança com a câmara. Professional dancers and non-dancers, as long as they are willing to move and express (the broodiest way in which dance may be understood) and to work the camera. 3 / Variações sobre um tema: Criação conjunta de uma frase de movimento simples, feita de gestos breves ou unidades de movimento abstractas. 6 / Formação de quatro variações a pares – cada membro da equipa comporá duas breves variações para câmara a partir da frase original, tendo oportunidade de filmar e desempenhar movimentos. 2 / Importação de três sequências para o Final Cut Pro e experiência com material de edição na criação de uma poética e provocadora vídeo-dança. 3 / Variations on a theme: creation of a short, simple movement phrase together, made up of brief gestural or more abstract movement units. 4 / Practicing the possibilities of camera in relationship to subject (the sensual camera) and in-camera editing effects. 6 / Creation of four variations in teams of two – Each member of the team will compose two brief variations for camera of the original phrase taking turns with camera and performing movement – each person films two short versions on camera of the other team member dancing. 2 / Import three sequences into Final Cut Pro and play with editing the material into a provocative, poetic video dance. 3 / Awareness of the overall rhythm of the edits as it relates to the movement of the subject. Cada participante deve trazer a sua própria câmara, que seja possível ligar a um projector para reprodução instantânea. Each participant should bring his or her own camera – one that is able to be connected to a deck or projector for instant playback. Peter Sparling é actualmente professor de dança na University of Michigan e um activo coreógrafo independente, bailarino, escritor, conferencista e videasta. Ex-membro das companhias de José Limón e Martha Graham, Sparling tem viajado por todo o mundo enquanto bailarino, professor convidado e coreógrafo para companhias e escolas em Inglaterra, Portugal, Taiwan, México, Costa Rica, e Canadá. Os seus trabalhos têm sido seleccionados para vários festivais de Vídeo-dança e Babel foi exibido em 2007 no New York Dance on Camera Festival. Activo em projectos interdisciplinares, colaborou com compositores, cientistas, arquitectos, poetas e artistas visuais. Vencedor do Governor’s Michigan Artist e premiado pelos NEA e ArtServe Michigan, Sparling continua a desenvolver novos trabalhos em colaboração nos Estados Unidos e no estrangeiro. 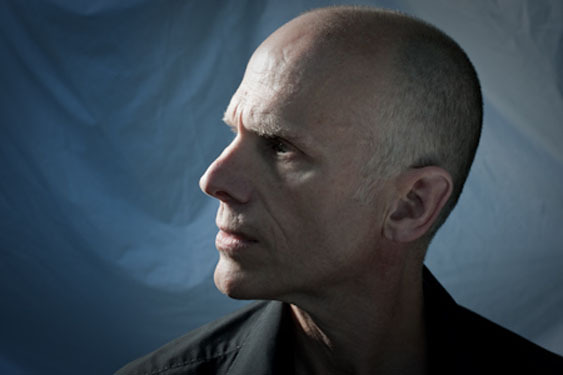 Peter Sparling is presently Thurnau Professor of Dance at University of Michigan and an active independent choreographer, performer, writer, lecturer and video artist. A former member of the companies of José Limón and Martha Graham, Sparling has traveled the world as dancer and also as guest teacher and choreographer for companies and schools in England, Portugal, Taiwan, Mexico, Costa Rica, and Canada. His screendances have appeared in Dance on Camera Festivals, and Babel was screened as part of the 2007 New York Dance on Camera Festival. Active in interdisciplinary projects, he has worked with composers, scientists, architects, poets and visual artists. A recipient of the Governor’s Michigan Artist award and grants from NEA and ArtServe Michigan, he continues to develop new collaborative works in the US and abroad.